Need more information about booking Home 7285739 ? 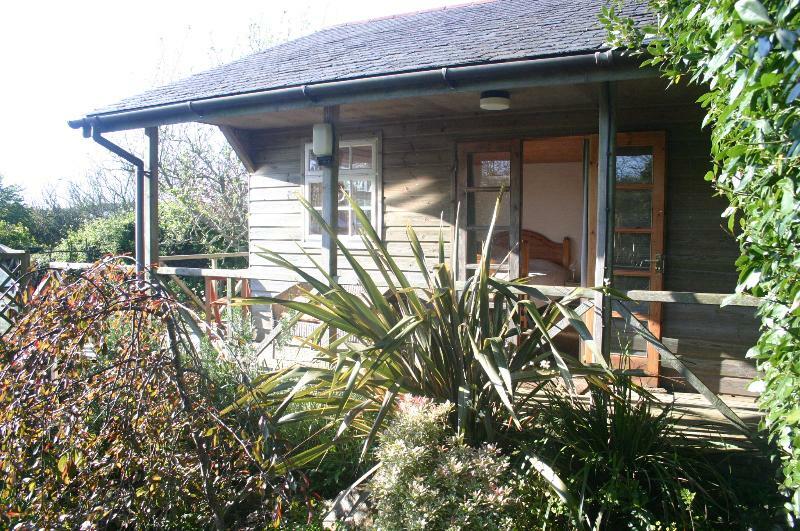 The Chalet is a lovely hideaway in a country garden 4 miles from both the south and North coasts of Cornwall. Ideally situated for exploring the West of Cornwall with it's beaches, coastal walks and unspoilt villages. Having it's own entrance and parking, 50 yards from the owner's cottage, The Chalet gives secluded studio accommodation with seperate kitchen and shower room. Being a rural setting , loud parties are not really ideal but obviously we do have outdoor parties and bbq's , music and voices often travel across the valley to us on a nice summers eve. I am happy if guests are happy!